Like any other place in the world, the Greater Toronto Area has to put up with bugs in their homes and businesses. Trying everything to get rid of them, we seem to get nowhere with them. They tend to want to stick around and are almost laughing at you because you cannot get rid of them. 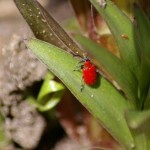 Have no fear because Green Leaf pestcontroltoronto.me Pest Control Toronto Service is here. They will get the bugs and make them disappear while at the same time keeping your house hold pets safe and sound. This entry was posted in Pest Control on March 15, 2018 by admin.